♥ Made of (.925), sterling silver, which is wonderful for kids. 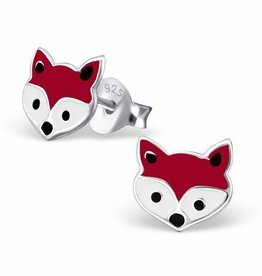 We got this adorable sterling silver fox stud earrings. She established her stunning outfit, every day! The size of 7mm by 7mm makes them well suited for small ears.